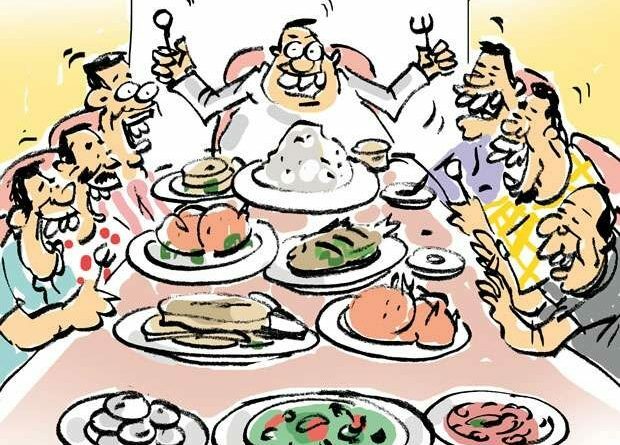 The traditional New Year party hosted by a certain Provincial body to its employees was an exclusive affair for staff grade officers this year. A grand treat consisting of traditional foods and snacks had been laid out on a table on the first day of the year as usual, but the ordinary employees had not been invited to it. Meanwhile, minor employees of a certain division had organized their own New Year party at their own expense with the divisional head as the chief guest. However, their party could only be kicked off several hours late as their chief guest, the divisional head had to first attend the main party held with the provincial chief as the chief guest, they say.